String a few losses together, however, and there’s resentment in the camp. The star players eat lunch at separate tables while the board sizes up the coaching market. Very little of this is true, of course, but the pressure felt by teams who aren’t performing – particularly teams with budgets engineered to perform at the highest level – is very real. That’s perhaps why Jose Mourinho, two games into his third year at Manchester United and with no league title, FA Cup or Champions League to show for it, is beginning his now mandatory third-year slide into paranoid irrelevance. 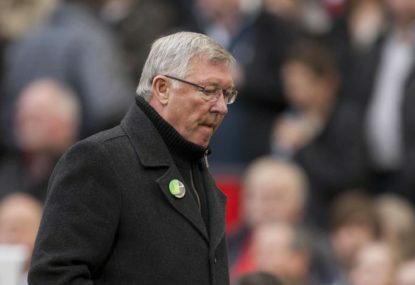 His side’s 3-2 Premier League loss to minnows Brighton over the weekend followed months of blame-filled ranting from a coach who is making a habit of tearing down his clubs somewhere around the third year mark. After his three years at Porto netted two Primeira Liga and one Champions League title, he moved to Chelsea where he spent four years and won two Premier League titles, before being escorted briskly out the door. He was at Inter Milan for three years, winning two Serie A titles and a Champions League, before a move to Real Madrid for – you guessed it – three years. His time at Madrid netted a sole La Liga title and a Spanish Cup, before he headed back to Chelsea for another three-year stint, winning one Premier League title before leaving in his third season with the club in the bottom half of the ladder. Many of the clubs he left – the last stint at Chelsea being a notable exception – took years to get back to their previous heights. If you’re not looking to build anything or develop young players but want trophies fast, Mo’ is your man. That was what Manchester United were looking for when they hired him to get them back to the top of the Premier League. 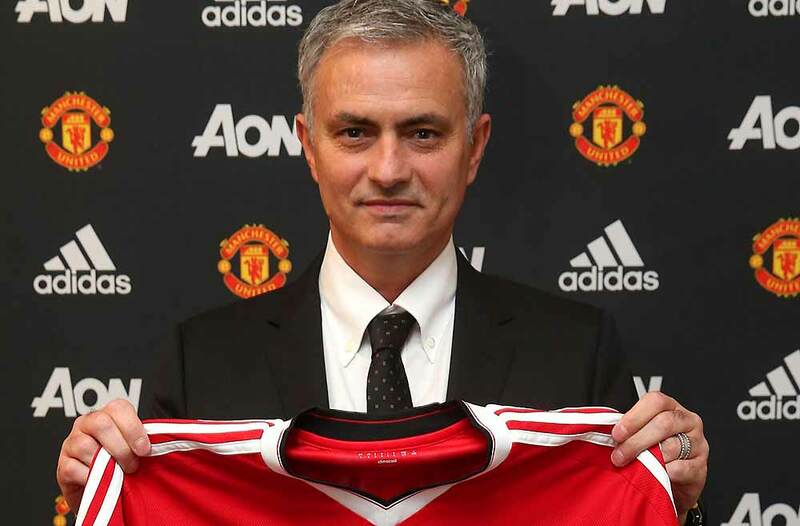 And for the first time in his coaching career, it seems to be something that Jose has been unable to provide. This season the malaise has crept in even earlier, with Mo attacking his club on and off the field. While being nice doesn’t get you trophies, being an obtuse wanker doesn’t guarantee you any either. Coaches don’t have to be nice to be good. Every league – indeed, every sport – has a couple of “nobody likes us and we don’t care” clubs, who relish operating under a cloud of paranoia and resentment. This has been Mo’s M.O. for much of his career, tainting his underdog Champions League win with Porto by wild accusations and transforming Chelsea from an underachieving London club with a sweet name to the oligarchic emblem of what’s wrong with modern football. But generally speaking, an us-against-them mentality requires the us to be against the them, thereby creating team spirit, brotherhood and all that other non-quantifiable stuff that wins championships and keeps Tony Robbins in business. If you’re a ten-man sniper team and the opposition army’s got you surrounded, it’s probably best not to spend your energy criticising your colleagues’ chewing habits and lamenting the tightness of the uniforms. Mo, however, did the opposite. Before the season even began his focus wasn’t on attacking the them – although he did do plenty of that – but on tearing members of his own unit down. 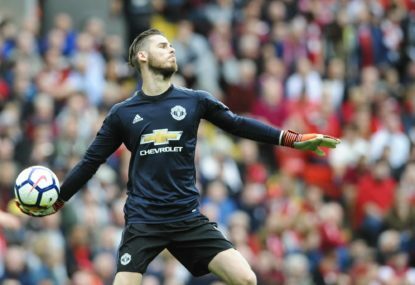 He berated United chairman Ed Woodward for not buying him the players that he wanted, sounding every bit like a disappointed child looking over the fence on Christmas morning. From calling defender Luke Shaw “fat” during his return from a broken leg to criticising Anthony Martial for the sheer nerve of wanting to see his newborn child during the off season, Mourinho’s targets always seemed a little too close to home to build any kind of continuity within the side. And if you can’t build continuity, you’ll certainly have trouble building a siege mentality. 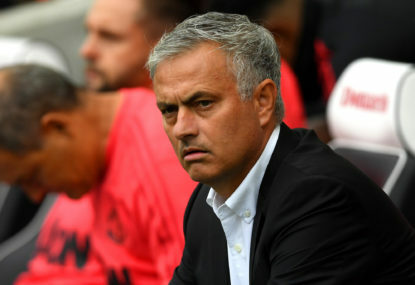 It is, of course, a long season and one loss to a relegation-favoured side does not undo Man Utd’s title run, but if his record is anything to go by, Mourinho is unlikely to be the man to restore Man U to where they feel they rightly belong. The Italian and Spanish leagues joined the French and English in kicking off, with all eyes on Juve’s new recruit Cristiano Ronaldo. While Ronaldo didn’t make it on the scoresheet – he had an excellent curling effort turned away at the far post – his side prevailed 3-2 in the final minute of injury time, showing familiar resolve and pretty much guaranteeing that another scudetto is headed for Turin. In Spain, both Barca and Real got off to strong starts with 3-0 and 2-0 wins respectively, while the match of the round – Atletico at Valencia – took place early Tuesday morning Australia time. It’s a long season, but with Ronaldo and Zidane leaving Madrid – and Lionel Messi being made captain for the first time ever – it’s Barcelona’s title to lose in Spain. As for France, Neymar and Kylian Mbappe got on the scoresheet for a victorious PSG, while Monaco’s draw means they’ll be playing catchup until the inevitable moment that Paris seal the deal. Manchester United is widely considered as the greatest football club in English history, and in the eyes of many, the world. 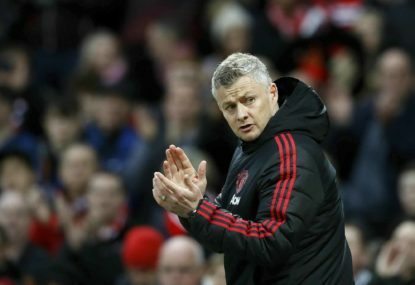 Manchester United have handed Ole Gunnar Solskjaer a three-year contract to make him their manager on a permanent basis. 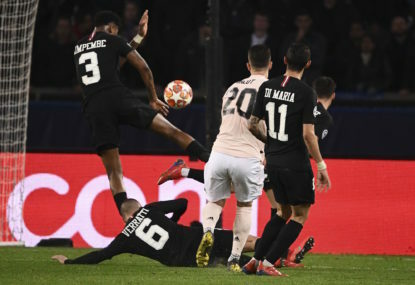 UEFA has issued an explanation for the late penalty awarded for handball which dramatically helped Manchester United progress to the Champions League quarter-finals. On Wednesday night at Paris’ Parc des Princes, we saw one of the most significant moments since the introduction of VAR. Marcus Rashford’s stoppage-time penalty secured injury-hit Manchester United an extraordinary victory against the odds at Paris St Germain as Ole Gunnar Solskjaer steered his side into the Champions League quarter-finals.